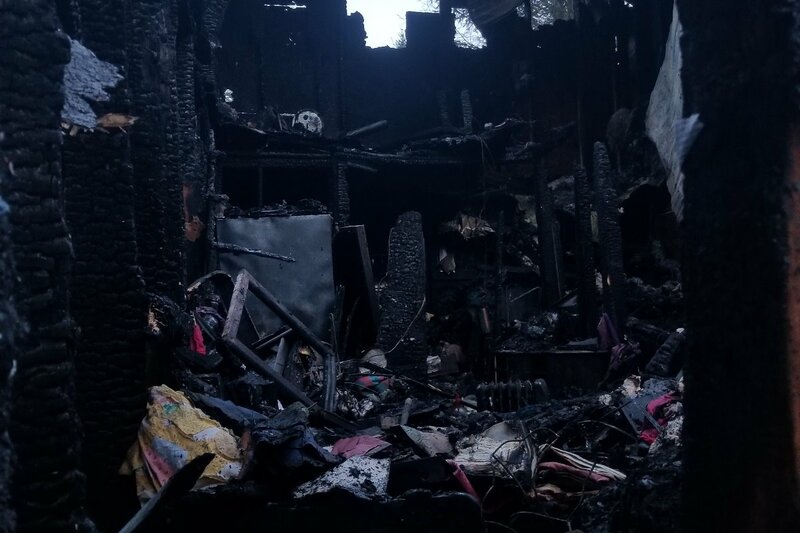 My mom lost everything from an accidental fire 2 days before Christmas. A lifetime of work and memories was gone in a flash. She escaped with the clothes on her back. Everything in her home was a total loss. Her precious kitty woke her but didn't make it out. There was no time to grab or save anything. We are lucky that my mom wasn't injured. Unfortunately there is no insurance. We can't replace what she had. If we can clean up the devastation and rebuild a smaller cabin, perhaps find a few tools for her, she can start over. My mom was a nurse who spent most of her life helping others. She was forced to retire early from an accident that left it hard to walk. She lives on a vary small income. She was just getting back on her feet when this happened. Her community has come together to provide her basic necessities and a place to stay for awhile. We need to start as soon as possible to clear the debris to get a cabin up next spring.